From 50 years ago, courtesy of our Audiovisual Archives, the presentation to the White House of the Thanksgiving Turkey, which seems to be less than thrilled by the honor. What’s that you say? You want a picture of John F. Kennedy with your turkey? Then you will have to go here. JFKWHP-KN-C19223. 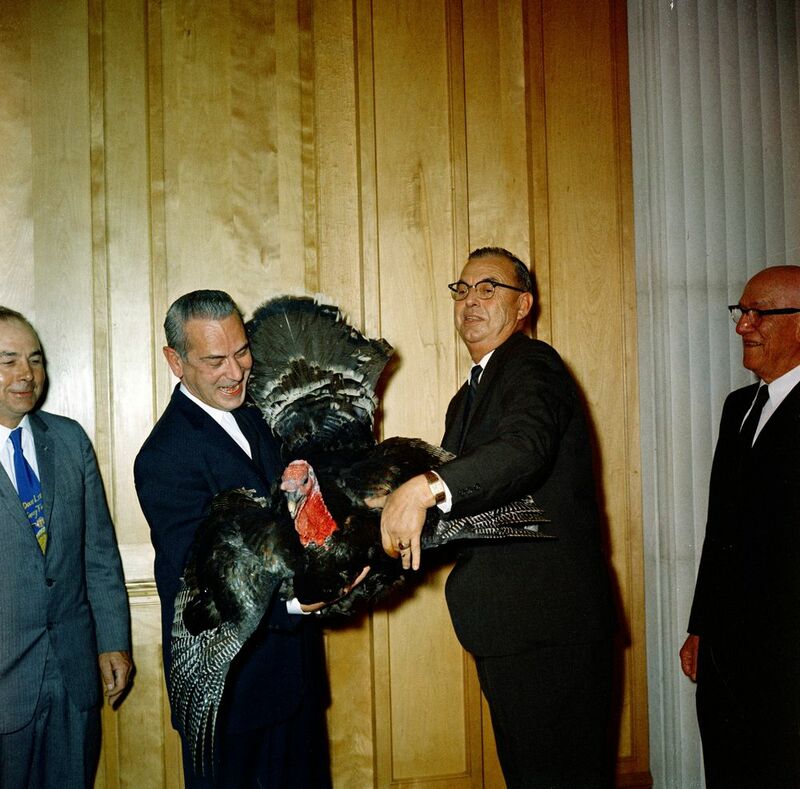 Presentation of the 1961 Thanksgiving Turkey, 19 October 1961.